Of all of the citrus oils, lemon just seems to have the sunniest disposition with its clean, fresh, yet rather sharp citrus scent.It’s the perfect oil to combat the short, dark dreary winter days. If you are feeling a little down in the dumps,reach for the lemon oil. Lemons, a member of the Rutaceae plant family, grow on somewhat small yet horizontally expansive trees. The lemon tree, native to Asia, has been cultivated in Italy, Australia and the United States. It likes a lot of sunshine, but not a lot of wet soil. The oil is expressed from the peel of the fruit. 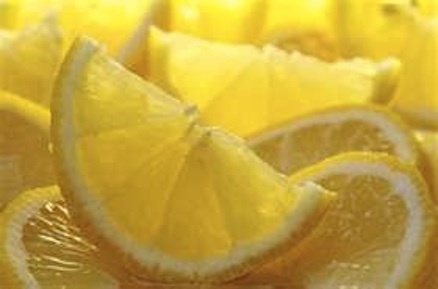 True to its sunny disposition, lemon oil is antidepressive in nature. It increases one’s sense of humor and feeling of general well being. It dispels feelings of indecisiveness so one might sense greater emotional clarity and direction. It’s also useful to support the attributes of joy, strength and memory. 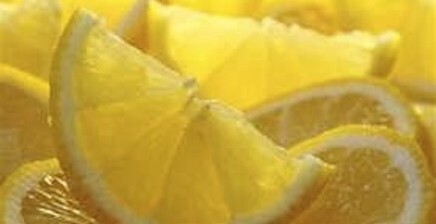 Sunny, bright and happy lemons! Lemon’s antiseptic properties make it good for disinfecting everything from wooden cutting boards to infected wounds and sore throats. Now I know why my grandfather added lemon to his homemade cough syrup. Add a drop or two to a glass of water and give your liver a lift. Once you understand how to use essential oils for daily skin care, lemon makes a wonderful addition for softening the skin and helps with oily and irritated skin. It’s a good choice for a cellulite blend as it has diuretic properties and speeds up blood flow. So when you want a little extra freshness and lightness in your life, reach for that lemon oil.